Alongside the IIIF Image API support, Micrio is also compatible with the IIIF Presentation API, for disclosing image collections, and annotated images. Also Micrio marker tours are supported. 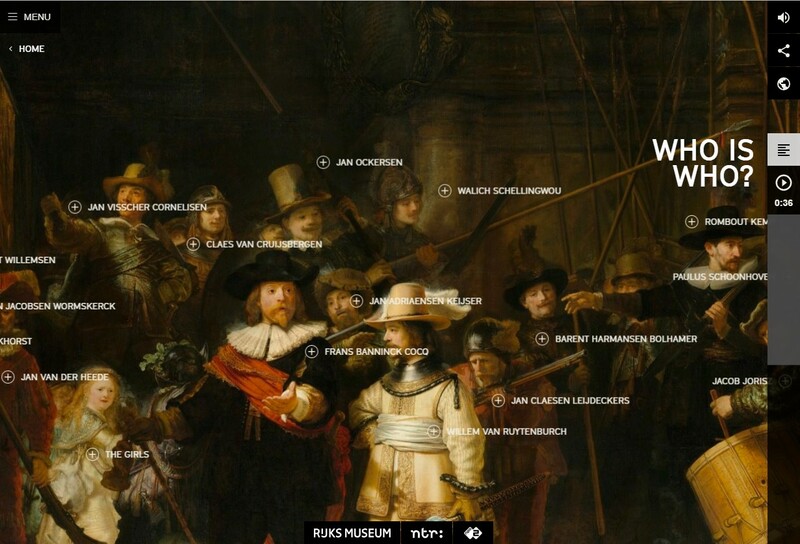 [...] Many different styles of viewer can be implemented that consume the information to enable a rich and dynamic experience, consuming content from across collections and hosting institutions. An object may comprise a series of pages, surfaces or other views; for example the single view of a painting, the two sides of a photograph, four cardinal views of a statue, or the many pages of an edition of a newspaper or book. The primary requirements for the Presentation API are to provide an order for these views, the resources needed to display a representation of the view, and the descriptive information needed to allow the user to understand what is being seen. There are two main ways that Micrio offers to present collections, or annotated single objects. Both have their own type of IIIF Presentation API Manifest. For bundled image collections, for instance a multi-page book with high-res individual pages, or a simple image gallery, Micrio supports this out of the box. Micrio offers high performance hi-res image galleries. Simply upload your images in the Micrio Dashboard into a specific folder, and then you can publish this folder to have a public gallery URL. A different way of guided viewing, or storytelling, is the way Micrio is used to add markers, marker tours and audio to a single image, like a high resolution painting. To formalize this into a correct IIIF Presentation API manifest is now possible. Most of the content created in the Micrio editor are being output in the open standard. For example, let's take a look at the Who is Who-tour of the website. This is a collection of markers of the main characters on the painting, together with an intro. All content is available as text or audio voice-over. This is all a very immersive experience, and not that great for accessible reading or quickly scanning through the content. That's why Micrio can also output any content created in its editor as a	simplified HTML page, such as this one of the example tour. This is fully auto-generated, and uses the IIIF Image API specs for the cutouts! There are still some loose ends to this, as not all content from the Micrio editor data is currently available in the manifest. But it does contain all content that matters.